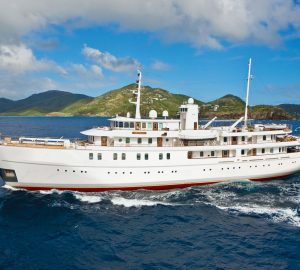 CharterWorld.com - The Andaman Sea yacht charter & yacht charters worldwide. View luxury yachts avaiable for charter hire in the Andaman Sea, Thailand. Can you resist “The Lure of the Orient”? The Andaman Sea area makes a superb yacht charter location in Thailand. 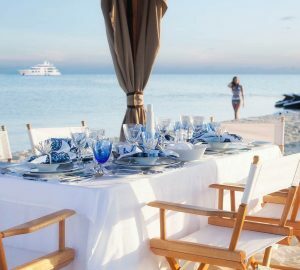 Anything from small crewed charter yachts to luxury superyacht charters is available to help you enjoy this stunning area. 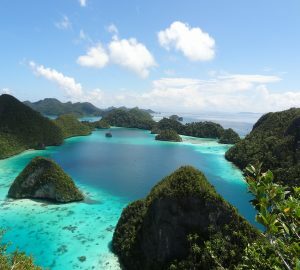 The cruising ground is extensive with miles of sailing pleasure between the Mergui Archipelago of Burma and the Malacca Straits of Malaysia, taking in the Similian Islands of Thailand. The appeal of the Andaman as a yacht charter location is obvious - most of its picturesque islands, are only accessible by boat. With its beautiful natural beaches, national parks, diving, gentle people, interesting culture, and of course it's mouth-watering cuisine, there's no place that sounds more like paradise. The Andaman Sea is still an undiscovered gem for sailors and yacht charters alike. The climate is tropical and always warm for good year round sailing. The Andaman experiences no cyclones, typhoons or extreme weather fronts; however there are two distinct seasons. During wet season, which runs from, May to October, one can expect rain, although showers tend to be very brief. The dry season from November to April, brings winds from the northeast. The weather is generally fine with nice sailing breezes. Phuket is Thailand’s largest luxury yachting hub in the Andaman Sea and this is where most yacht charterers pick up their charter yacht for cruising the surrounding waters. Phuket itself is a beautiful island with many activities and excursions to enjoy, not to mention the beautiful landscapes, seascapes, sunsets and the friendly locals who welcome you with the biggest smile possible. To the South West of Phuket you find open water with a few dotted islands such as Koh Racha and Koh Rok Nok. For sailing yacht enthusiasts, in the SW monsoon sailing can be quite exhilarating here; In the NE monsoon there is usually a steady moderate breeze. To the South of Phuket there is a string of inshore islands, stretching for 100 NM from Koh Phi Phi to the Malaysian border. This island chain offers tranquillity and many opportunities for exploring while on your Thailand yacht charter vacation. 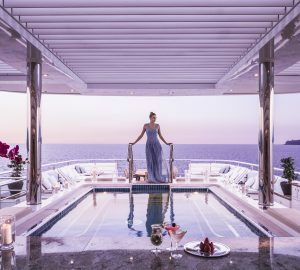 To the East and South East of the luxury yacht destination of Phuket, Thailand, the magnificent destinations of Phang Nga Bay, Krabi and Phi Phi, together form an area of about 500 square miles. The entire area is dotted with impressive lime stone formations, honeycombed with caves and fringed by mangroves and there is sheltered sailing here in all seasons. Three major rivers plus a couple of smaller ones flow in the Phang Nga Bay. Typical features of this area are the hongs, high limestone islands which have collapsed in the middle leaving a landlocked lagoon. Several of these lagoons are accessible by your yacht's tender or kayak at low tide through caves. 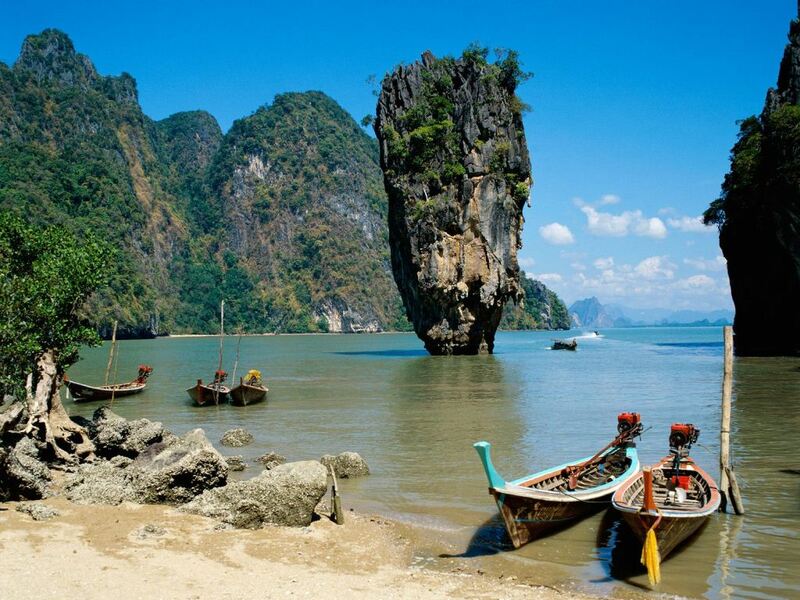 Other attractions include James Bond Island, Railey Beach, said to be one of the most beautiful beaches in the world and the well-known Phi Phi Islands offering impressive surroundings as well as great nightlife. The Similan Island Group and Surin Islands, close to the Myanmar / Burmese border are found to the North and North West of Phuket. 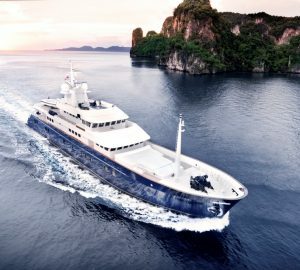 These islands are increasing in popularity among yacht charters, especially those who enjoy diving as they offer the best diving and snorkelling in Thailand and are known as one of the world's top dive destinations. 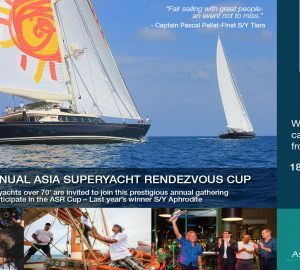 Below is a selection of Asia Charter Yachts - for more information and a full list of Thailand charter yachts, please contact us here. Andaman Sea is still an undiscovered gem for sailors and yacht charters alike. The climate is tropical and always warm for good year round sailing. Explore Location Guides for great destinations near Andaman Sea .